4 bedroom, 3 bathroom villa in the High Gate Park community. Owned by Sandra Mandalia. Ref: 3454. Even if you pack your suitcase with great care, on arrival at Arkvilla you will find you have forgotten something - yes, you'll have left your cares behind. 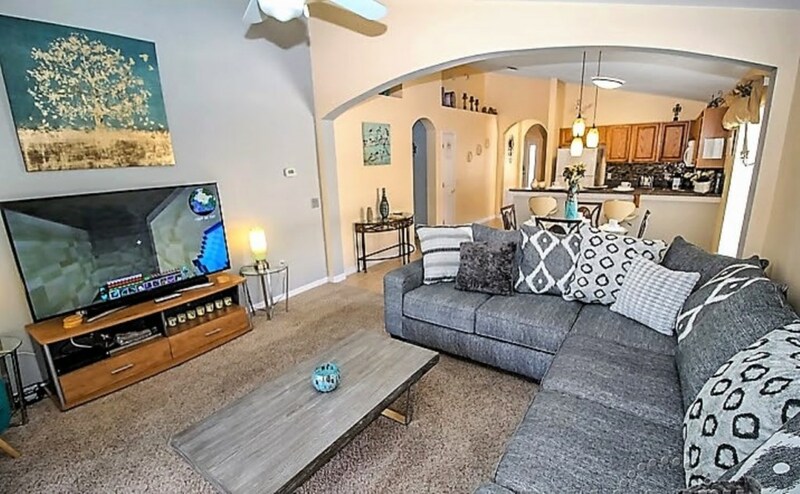 Arkvilla is a absolutely beautiful 4 Bedroom, 3 Bathroom Villa with Private Pool with Extended Sun Deck and Games Room on a Quiet Gated Community, just 8 miles from Disney World, all the photo's are kept up to date and our home is as you see in these pictures. Close to many shops and restaurants and just 1 mile from the new Polk National Park., it is the ideal place to spend quality time with your family or friends. We are Sandra & Jai Mandalia and we live in Romford, Essex. We have 3 children Arun, Ryan and Kyle (hence the name Arkvilla). Jai works in Human Resources and I work doing admin work for a Vicar in a local Church. 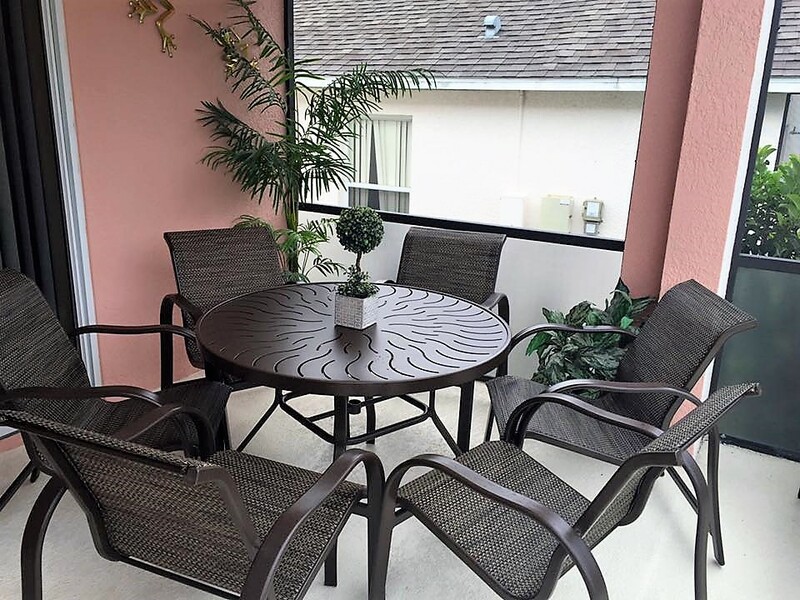 We chose to buy our home in Florida after visiting Florida a few times, we thought the people are very friendly and helpful, the food is great, its so clean, there is so much to do and we believe it’s a wonderful place to holiday. Previous holidays we’d stayed in cramped hotel rooms, and we thought we would try a villa as surely it would be a better option... WOW – we were amazed by what a different holiday we had. There was so much space for everyone. It was great not having to keep to anyone else’s time schedule. Even after the children had gone to bed it was wonderful to sit by the pool and relax. We bought Arkvilla off plan in 2005, this allowed us to hand pick everything ourselves making it a real home from home. We are the only owners since it was built therefore we know our home better than anyone and can offer you as much help and advice as you want to plan the perfect trip. Please get in touch, we’d love to have you stay at Arkvilla and were sure you will be delighted with your choice. For privacy reasons, the marker on the map shows the High Gate Park community location and not actual villa location. Arkvilla is a beautiful home, everything has been hand picked to make it a bit different to other villas, contemporary styled and bright and airy, you will feel at home immediately you walk in the front door. We visit twice a year to update and check our home is looking beautiful for our guests. Spend quality family time enjoying a fantastic holiday in a home which provides all the comforts you need to relax as well as a games room for fun after days out at the parks? Why stay in a cramped hotel when you could have a wonderful stay in our lovely home, which is ideally situated for all the parks plus you have the bonus of being able to get away from it all and relax by your own pool with a chilled glass of wine or cool beer. We have many guests who return each year which speaks for itself - come and stay - You won’t want to go home!! As you walk through the front door you know you have chosen well. The lovely sitting area is elegantly furnished in golds & creams. A stylish room for relaxing with a book or a cool drink. The lounge leads on to the open plan family room with 50" Flat Screen Cable TV, a room decorated for your comfort so that you can relax watching tv or looking out on to the private pool and lanai area. The luxury kitchen is fully-equipped with a full-size oven and hob, refrigerator/freezer with ice- maker, built-in microwave oven, dishwasher, waste disposal and telephone (with free calls to the UK landline only, 60 other countries)also a Ipod dock. The gorgeous master bedroom, with en-suite, has a queen size bed, large walk-in closet, 32" flat screen cable TV, radio alarm clock and hairdryer. It is a beautiful room. The fabulous en-suite bathroom has his and hers inset hand basins, large walk in shower, corner tub so that you can have a pampering soak. The second master bedroom also has en suite facilities with queen size bed flat screen tv and large closet with plenty of hanging space. There are 2 further twin bedded rooms with large closets, both decorated so that they canbe used by adults or children. A third full size family bathroom has basin, bath, shower, toilet and hairdryer. All bed linen and towels are provided. Patio doors lead out from the family room and master bedroom to the fully screened, extended deck area with heated pool. The pool is serviced and cleaned weekly, and arrangements can be made to have the pool heated during the cooler months. There are lots of loungers and patio chairs, and a table are provided for al frewco dining. Arkvilla is situated in the Highgate Park gated community which is the envy of the area. Situated only 15 mins from the Gates of Disney, and yet far enough away to enjoy those peaceful evenings by the pool. What more could you want either for your vacation, or your dream vacation home ? For a fantastic family holiday all of the major attractions including Disney, Sea World, Universal Studios, Wet ‘n ‘Wild and the new Legoland are within 30 minutes drive. The one thing our guests always mention is that our home has a lovely feeling and that it is lovely to come back to after days out - we take this as a real compliment. Your enquiry will be sent to villa ref 3454 only. This page has been viewed 10701 times since 06 May 2011.